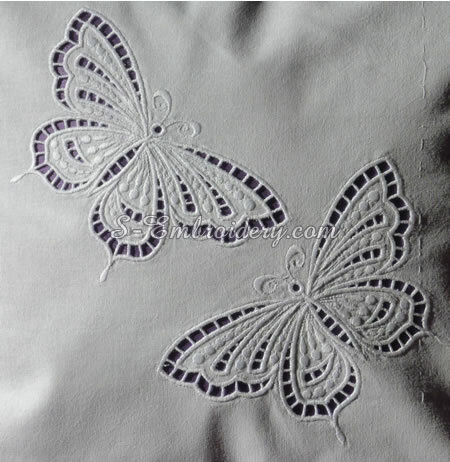 A fine butterfly machine embroidery design in cutwork lace. 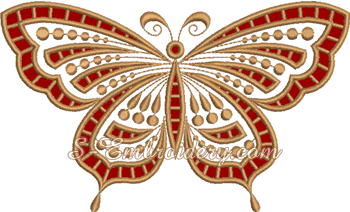 The design can be used in different machine embroidery projects. You can create cutwork decorations for doilies, table cloth, pillows, etc. The design comes with instructions for creating cutwork lace. 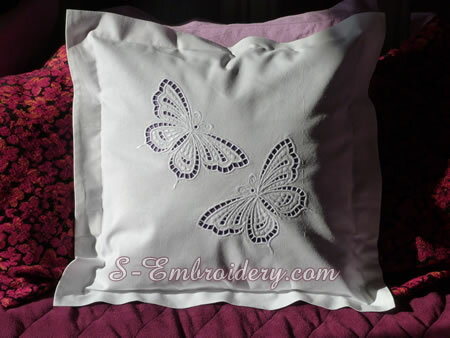 You receive 1 machine embroidery file in one of the supported formats and 2 PDFs with design information and instructions. If you are new to cutwork machine embroidery you may want to have a look at our cutwork lace tutorial.